Moto G 3rd Generation is one of the latest smartphone launched by Motorola. 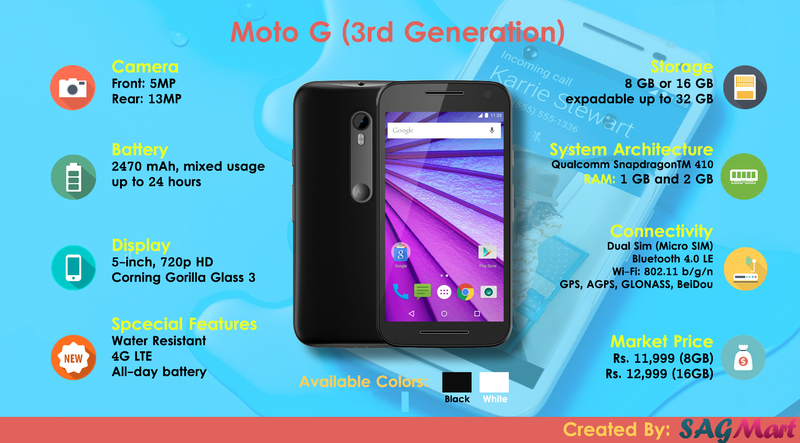 checkout the specifications of Moto G Gen 3 in the infographic shown below. For complete details about this mobile, click here.